Andreas Brøgger, director at Nikolaj Contemporary Art Center, presents one of the four demonstration projects. Our co-creation lighting workshop on the topic ‘Innovation in Art’ draws large amount of participants to Nikolaj Contemporary Art Center. As the number of art related demonstration and development projects have grown in Lighting Metropolis, we brought together designers, artists, technologists and municipalities around the topic”Innovaiton in art”, to redefine and co-create urban art installations with light at the centre. The workshop allowed the diverse participants to develop four concrete art-related projects that make part of our world-leading living lab in Greater openhagen. 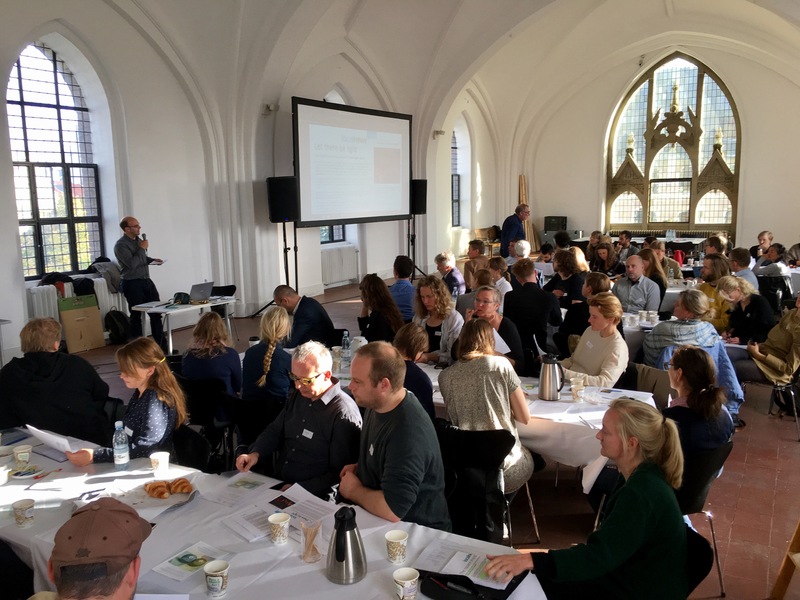 The event was held at Nikolaj Contemporary Art Center, one of Copenhagen’s oldest and tallest churches. Organised together with InfinIT, Denmarks’ largest IT-network. Special thanks to the city of Copenhagen’s History & Art department for letting us use the inspiring location. Watch Innovation consultant Lea Schick, InfinIT explain the concept of the co-creation event. Read more about all of our demonstration projects here.